GABC young professionals group social events kickoff. 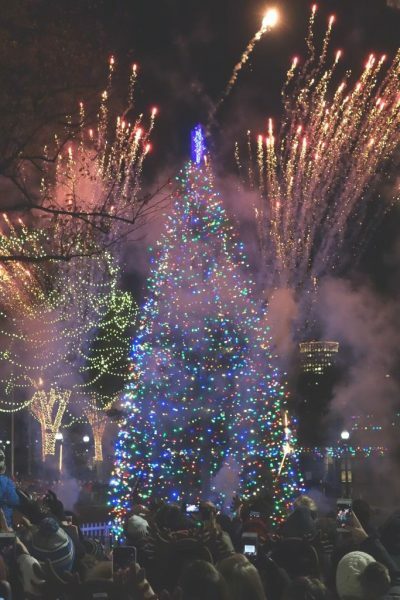 GABC young professionals met in a relaxed holiday-spirit atmosphere to enjoy the Boston Christmas Tree lighting festivities together. Drinks and dinner afterwards at Back Deck Restaurant — a perfect way to get into the Christmas spirit! Location: Boston Common. Meet us at Boston Common Visitor Center (Boston Common Park, 139 Tremont St, Boston, MA 02111) at 7pm. Description here: Boston Christmas Tree lighting festivities. Cost: Free Tree Lighting Program. Food and drinks at Back Deck Restaurant afterward are at your own expense.